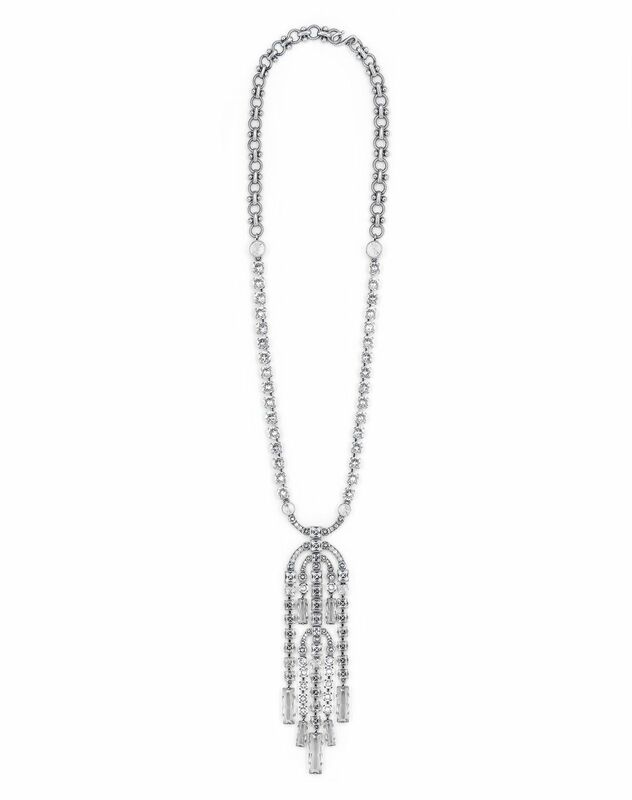 Necklace from the Sparkling Falls line in crystal-coloured brass, chain and pendant adorned with Swarovski crystals applied by hand and hook clasp to adjust the length. 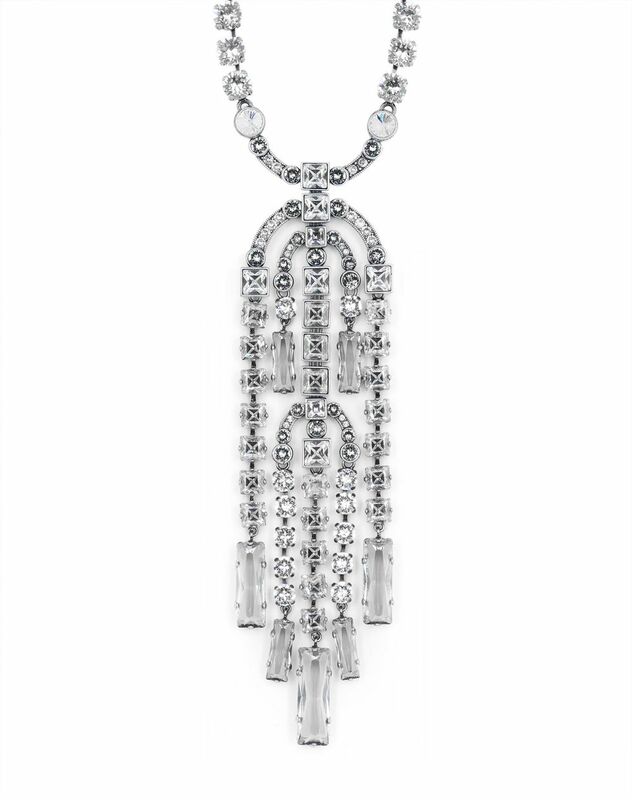 The Sparkling Falls line is inspired by the movement of decorative art and offers a selection of brilliant pieces with the allure of a diamond waterfall. 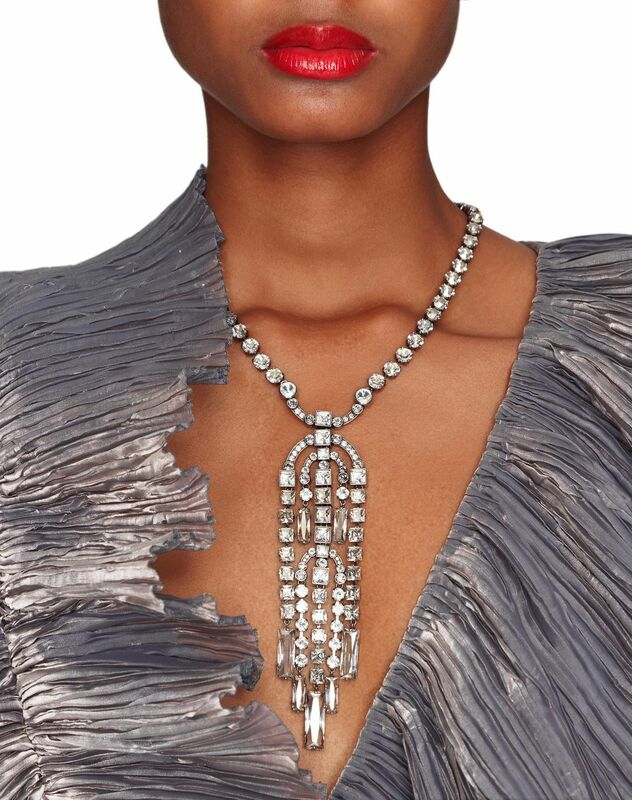 This luxurious necklace features rows punctuated with gleaming Swarovski crystals that fall delicately and enhance an elegant couture silhouette. Main material: 100% brass. Length: 52 cm adjustable to a maximum of 63 cm. Made in Italy.